Product #16042 | SKU RODSC6 | 0.0 (no ratings yet) Thanks for your rating! 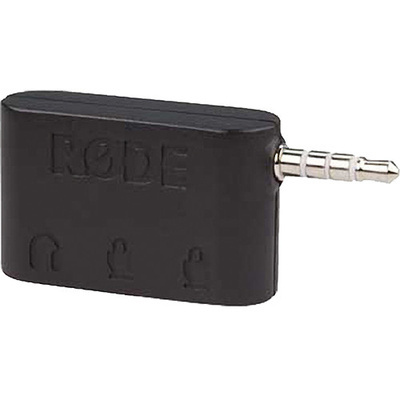 The RØDE SC6 Dual TRRS Input and Headphone Output for Smartphones is an input/output breakout box for smartphones and tablets. It has two TRRS inputs and one stereo headphone output. It connects to any TRRS device, such as your smartphone, and allows you to use one or two smartLav microphones while providing a headphone jack for monitoring and playback. Use it to monitor audio from the smartLav and input two smartLavs into the mono channel in interview or dual-dialogue applications.